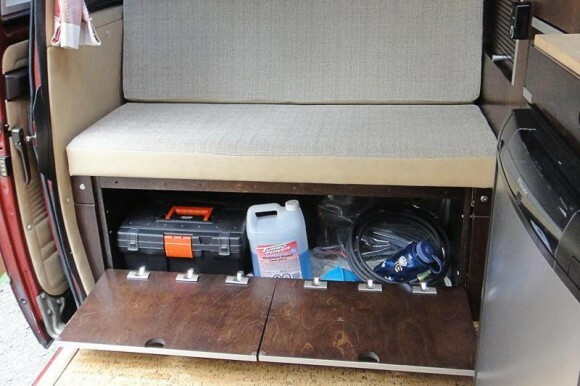 Vanagon owners love to customize the interior of their ride with little trinkets, or gadgets, but this Vanagon was completely redone with new cabinets. 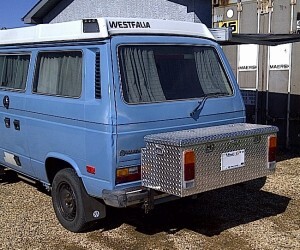 The Samba user, Wolfphotos, says his van was already tricked out when he bought it, but he’s posting pics anyway. 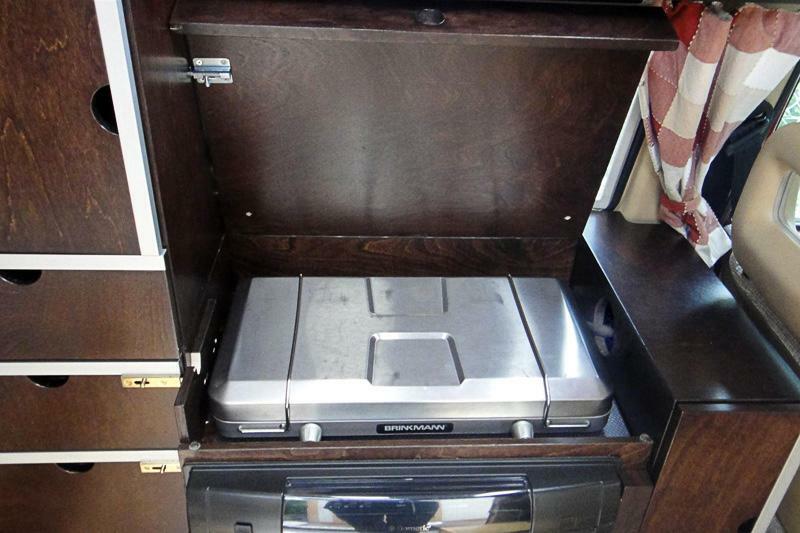 The cherry veneer interior looks great, and has a lot of room for storage. We’ve seen so many custom interiors we may have to create a separate category for them on the site. 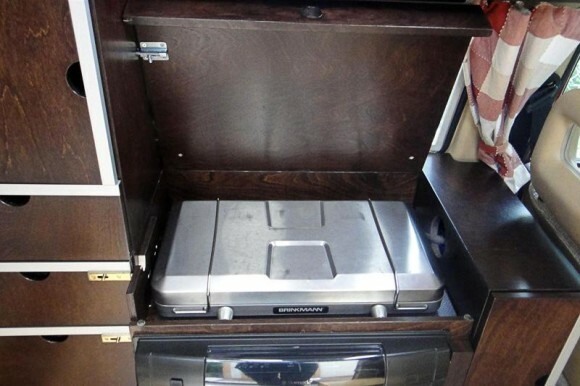 Just above the refrigerator is a flip up compartment with room for a stovetop. Nice! Easy access to the storage area under the seat is awesome. 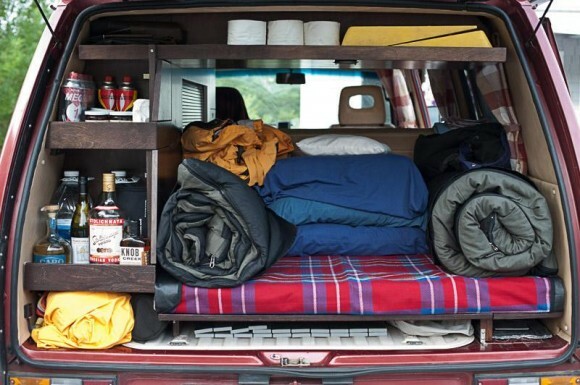 No more lifting up that back seat! 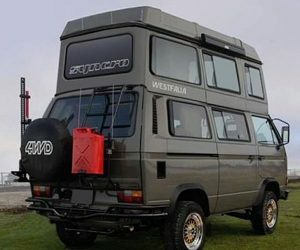 What more could he be carrying in the rear? 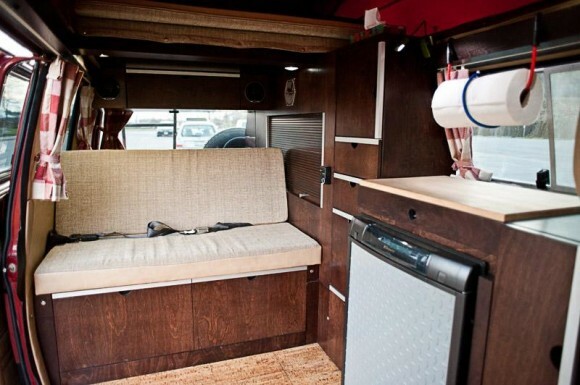 He has space for a metal table above the engine, and 2 chairs on the bottom left under the shelves. You can hit the source link below for several more shots of the interior.